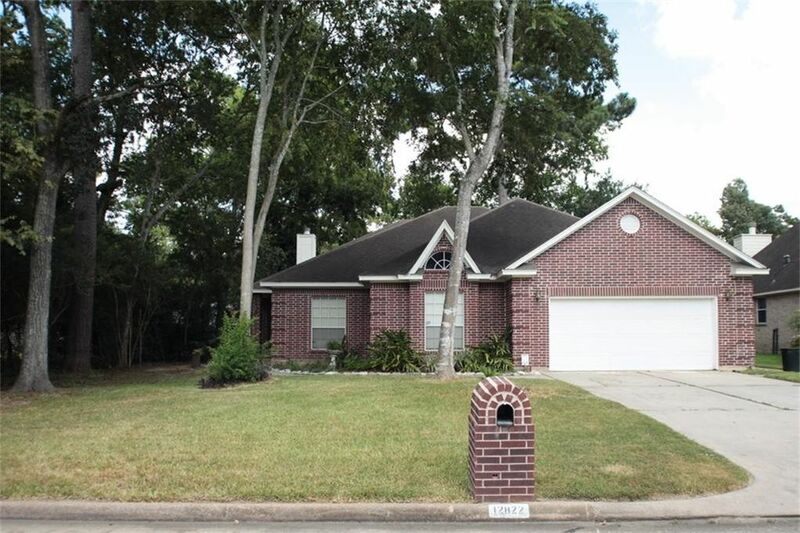 Custom Built 1 Story Red Brick Home w/ New Roof, in acclaimed Cy-Fair ISD. Large Den with High Ceiling, & Gas Logs F/P. Georges Island Kitchen w/Custom on Site Built Cabinets and detailed Trim Throughout the Home. Recent Owner has installed Tile Floors in all but the Bedrooms. New Roof Installed in 2018. Master suite is Large and has a Luxurious Bath with Whirlpool Tub & &Over Sized Separate Shower. Huge Walk In closet w/Custom Built-In Cabinets, Shoe Racks. Covered Screened in Patio Overlooking a Private Backyard. Has Country Feel. Directions: From 290 West go Right on Telge go right on Cricket Hollow then right on Enchanted Valley and left at Bonnywood Ln. House on right.